WHAT IS TRANSFORMING MISSION ABOUT? Through Transforming Mission we are developing a model for the renewal of Anglican Church life across our communities, starting in Falmouth and Carnmarth South deanery, which will be adapted and replicated across many other towns. We seek to create a thriving church community that attracts and supports all ages including families and the student generation and has at its heart a desire to spill out of its own walls to proclaim good news, serve its community, to resource and bless other churches and to be the catalyst for growth in discipleship, evangelism and community-building. We wish to see churches at the heart of our Cornish towns renewed and equipped, growing in numbers and in faith and attracting the generations that, by and large, are now missing from our congregations. These churches will work with each other and with ecumenical partners, they will help to grow the next generations of leaders, both lay and ordained and, as they receive resources to enable them, they will be generous in helping to resource the village churches around them. To help us on this Transforming Mission journey funding has been granted by the Church Commissioners to support an initial five-year programme. WHY DO WE NEED TO ‘TRANSFORM MISSION’? We are painfully aware of patterns of declining attendance at church, particularly amongst the younger generations, of congregations overwhelmed by financial and practical demands, faithful clergy increasingly stretched by the size and scope of the responsibilities laid on them and a resulting decrease in our ability to support and service our local communities. Yet we are also joyfully and hopefully aware that ours is a Resurrection faith and we worship a God who is “always making all things new”. We have a Gospel of life and a promise that God will grow his Church. We have a calling to respond in faith to this Gospel and this promise. WHERE WILL WE BE TRANSFORMING MISSION? We’re starting in Falmouth, which is one of Cornwall’s larger communities with a significant and growing student population, a vibrant place of energy and vitality and recently identified as one of the very best places to live in the United Kingdom. A combination of factors, including the size and nature of the Deanery and the growing commitment of the churches to work together across parish boundaries, have led us in faith to identify Falmouth as the right place to start the Transforming Mission programme, but we plan swiftly to apply what we learn in other comparable places, and to grow pioneering and prayerful leaders to minister in these and other contexts. HOW WILL WE BE TRANSFORMING MISSION? Following the creation of a Bishop’s Mission Order to draw together the Anglican churches in Falmouth, we are creating a thriving new church community (New Street Church) which will also act as a resource for the whole Deanery, plus the use of the existing church café at KCM as a Student Hub and café called Huddle. WHEN WILL TRANSFORMING MISSION START? The Transforming Mission programme is already under way, recruiting key positions and getting premises ready for the start of the new ministries. 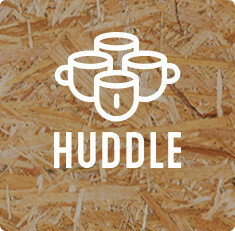 Huddle Café opened in December 2017 and it is already supporting students as they settle in Falmouth and is building a role as a hub within the community. The aim is to start contemporary services in the New Year. WHO IS WORKING ON TRANSFORMING MISSION? 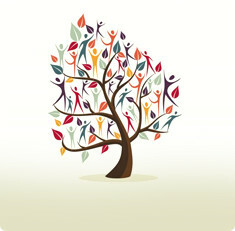 a body of Christian people of all ages, who will come together to form the core group of this new work. If you would like further information contact transformingmission@truro.anglican.org.